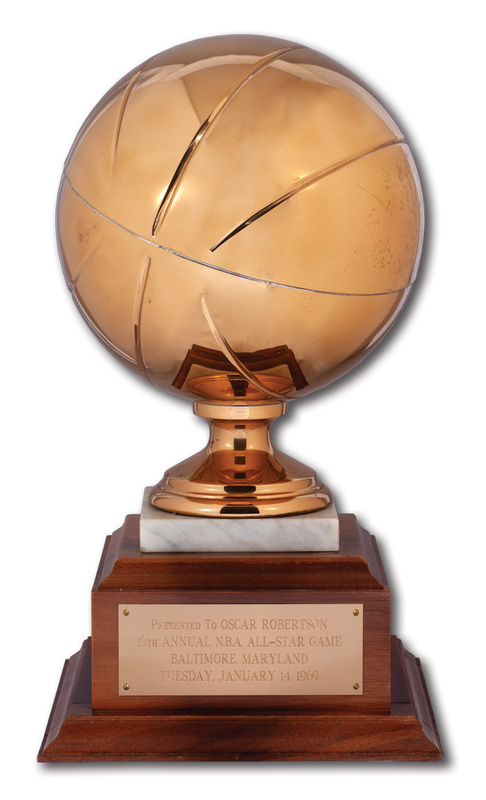 Among the many achievements of Oscar Robertson’s NBA career was being named All-Star Game MVP not once, but three times. Playing against the best of the best, Robertson was able to demonstrate how truly great a talent he was. The Big O won the All-Star MVP for the first time in 1961, then repeated the honor three years later. Then, he earned his final MVP Award at the 1969 Game held in Baltimore. Robertson played 32 minutes of the game and compiled 24 points and 5 assists as his Eastern Conference team won, 123-112. 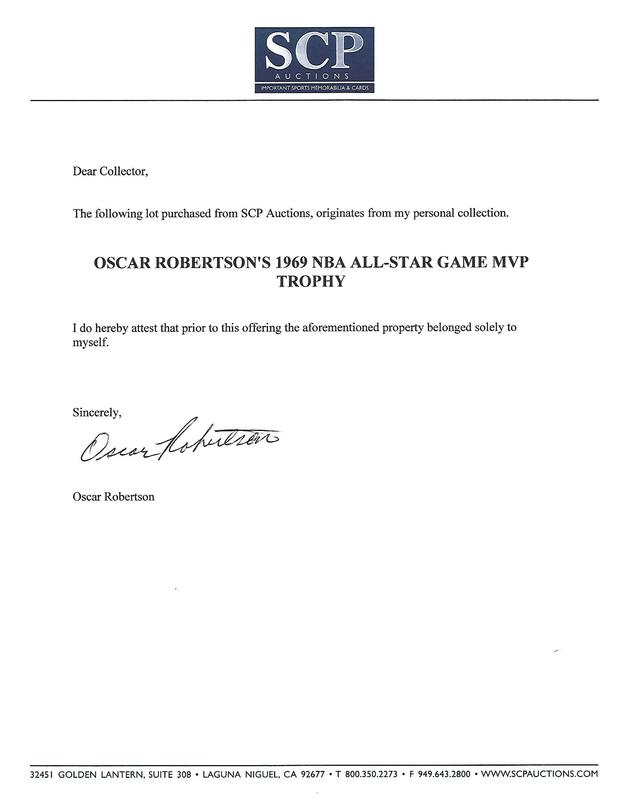 This is the trophy awarded to Robertson after he was selected as the game’s MVP. 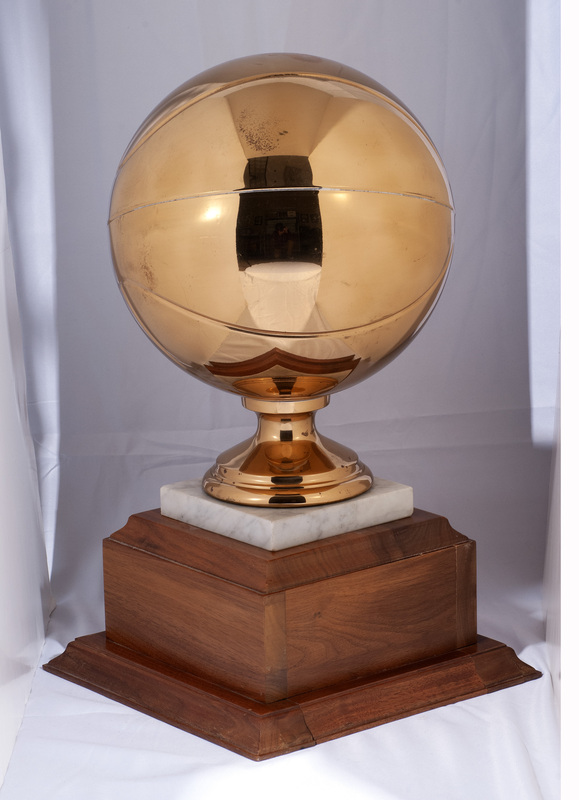 A full-size gold-washed brass basketball is mounted atop a marble and wood base. 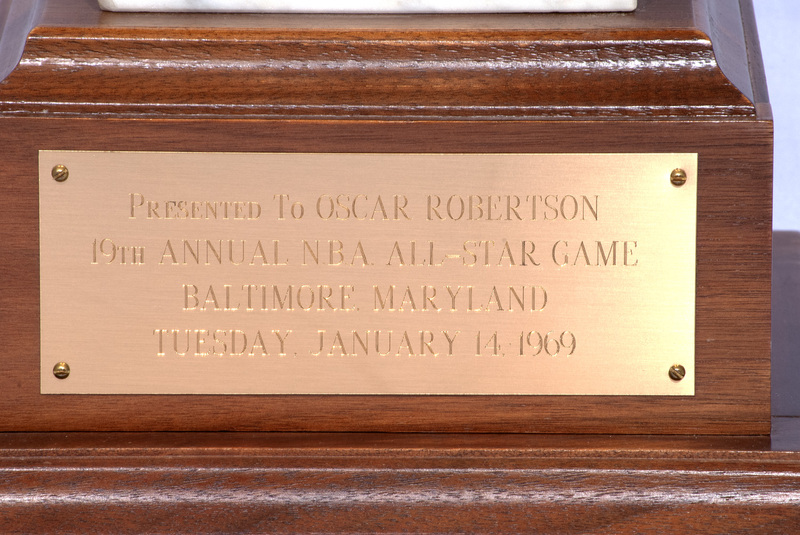 Measuring 18” tall and 10” x 10” at the base, the trophy is completed with an engraved plaque reading “Presented To OSCAR ROBERTSON 19th ANNUAL NBA ALL-STAR GAME BALTIMORE, MARYLAND TUESDAY JANUARY 14, 1969.” The 8-lb. trophy shows very little handling and presents in outstanding condition. Includes LOA from Oscar Robertson.